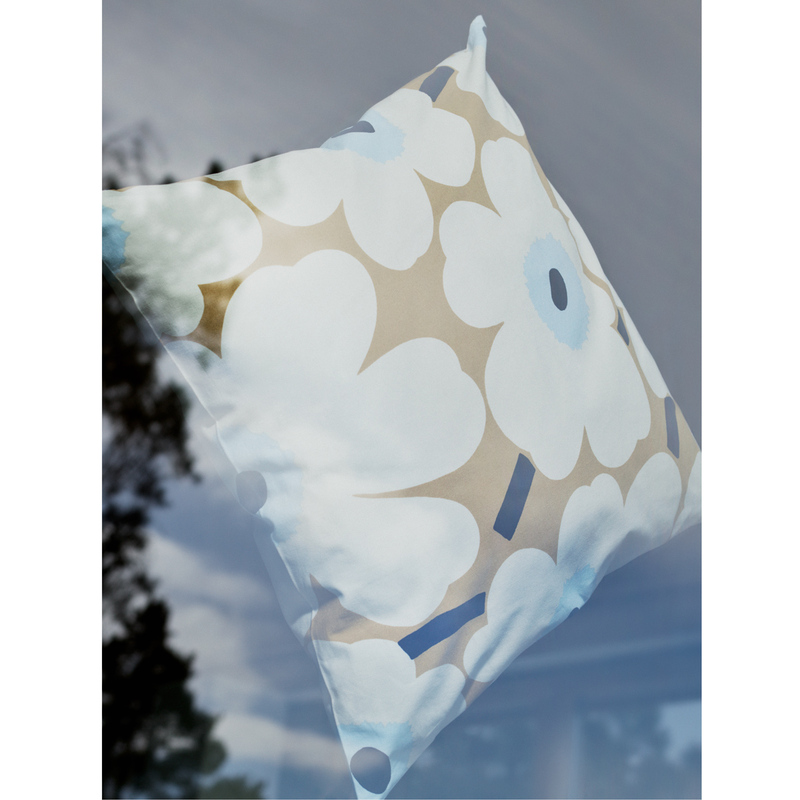 More about Marimekko Unikko Beige / Blue Large Throw Pillow Decorate your sofa, chair or bed with Maija Isola's famed Unikko pattern. 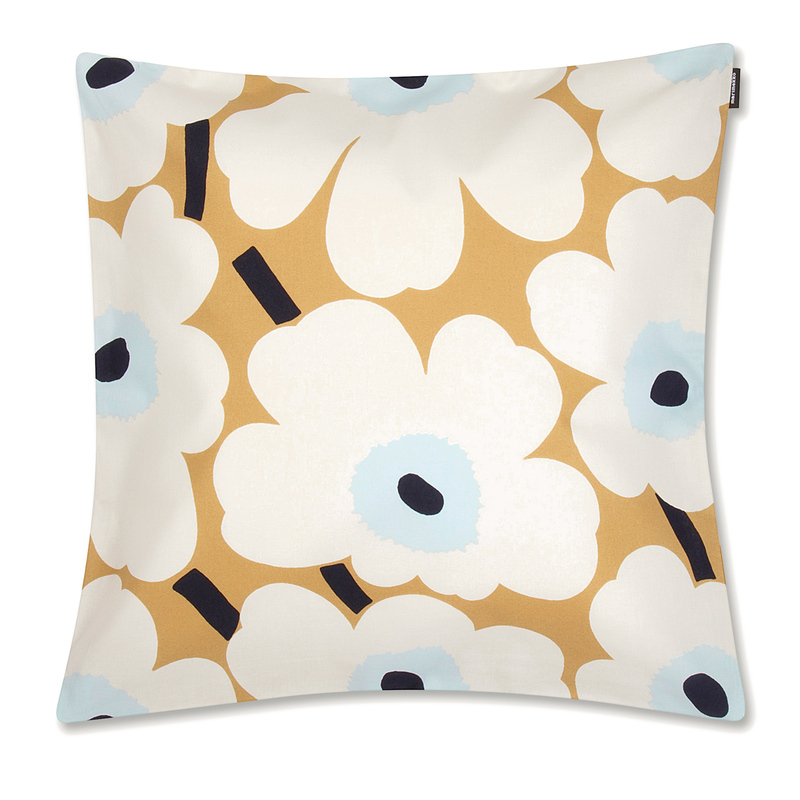 The poppies in neutral white and beige with pops of blue on this throw pillow will add a beautiful element of design to your living room or bedroom. This 100% cotton pillow cover can be easily removed from an insert by a zipper to be easily washed in the machine. I bought this size to go with the lounge one in the same pattern and colors. The fabric on this one isnâ€™t as heavy as the lounge one and it wrinkles more. But I still love the two paired together. They work great togetherness on my sofa â€” pattern without too much busy-ness. I love the hidden zipper; I have these in several of the Unikko color combinations and they are all lovely! This new color is very cute and really suits my gray sofa. 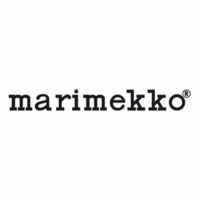 Nice look for the Unikko pattern. The color combination is very sophisticated! Great quality too. I bought two for my very white living room that has a light yellow beige sofa. Fabulous addition. I'll be being a third soon.